A playwright can go a long way with a character named Tony Lumpkin. 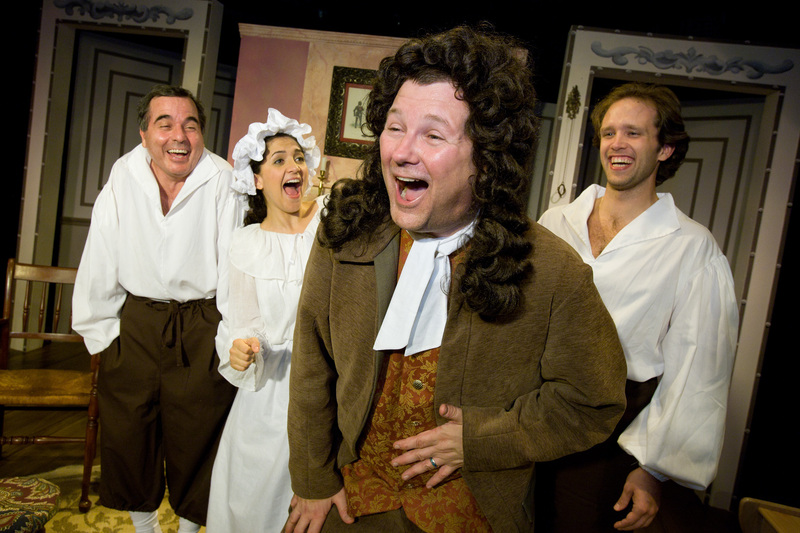 In She Stoops to Conquer, at Mad Cow Theatre, Lumpkin (Stephen Lima) is called an “awkward booby,” but he’s more than that. As Lima plays him, he’s sly, stupid and self-satisfied – and one of the most aptly named characters in all of literature. He’s also a stitch, and he’s just one of the many reasons that Oliver Goldsmith’s 18th-century comedy She Stoops to Conquer comes across as funny and fresh as it does. First produced in London the year of the Boston Tea Party, Goldsmith’s play and its farcical humor may depend on British class differences that don’t mean so much to us now. But its characters are so foolish – and so aware of their own foibles – that they sweep you up in their silliness. “The folly of most people is rather an object of mirth than uneasiness,” the young hero says, and he’s not the only foolish person in She Stoops to Conquer who’s absolutely right.